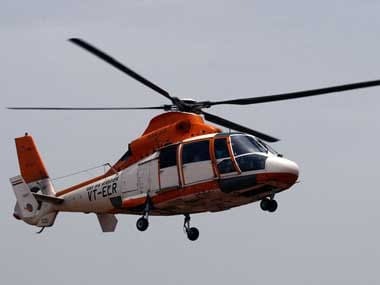 Mumbai: Urging the government not to privatise profit-making Pawan Hans Ltd, the state-run chopper operators officers union has proposed the company's merger with defence PSU Hindustan Aeronautics Ltd (HAL). Such a merger would strengthen both the domestic civil and defence aviation sectors, the Pawan Hans Officers Welfare Association (PHOWA) said in a letter to Prime Minister Narendra Modi last week. The union urged the government go for a public issue of Pawan Hans Ltd (PHL) as per the guidelines of DIPAM (Department of Investment and Public Asset Management) rather than opting for an outright sale of the aviation entity. Pawan Hans is a 51:49 joint venture between the central government and state-owned oil explorer ONGC. After failing to get a good response to its first attempt to handover Pawan Hans to private players, the Centre on 13 April issued a fresh information memorandum for the 51 percent stake sale in the company and sought EoIs (expressions of interest) from interested bidders by 18 June. 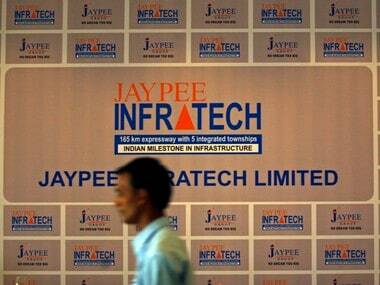 Later, fresh bids were invited after the ONGC board in July decided to combine its 49 percent stake in the offer and extended the date to September 10 and then subsequently to 19 September. "The Pawan Hans Officers Welfare Association proposes strategic merger of PHL with HAL in a way the recent merger of Hindustan Petroleum Corporation Limited with ONGC and Hospital Services Consultancy Corporation (HSCC) with NBCC to bring more value to the parent organisation," the association said in the letter to Modi. profit-making CPSE with positive net worth to have more autonomy and accountability as a responsible PSU to meet the strategic requirement through the company." Pawan Hans currently has 42 helicopters in its fleet and before the government decided to privatise the company, it had proposed to induct another 100 aircraft along with some fixed-wing planes as part of a five-year business plan. Stating that the central public sector enterprises (CPSEs) are "critical" to the country's development, PHOWA listed the objectives for which Pawan Hans was set up. "Pawan Hans, a rini ratna CPSE, was set up with the primary objective of providing essential helicopter support services in strategic areas of importance such as oil and gas sector, medical emergency services, disaster management, security surveillance and operations in hilly and inaccessible areas of north-east, among others." On the other hand, HAL has initiated `Make-in-India' programme of manufacturing small fixed-wing aircraft (Dornier) and Dhruv Mak-III to bring it in the civil market, it said. "The combination of both the entities (PHL and HAL) will take forward the government agenda of `Make-in-India' and making flying more affordable through its `UDAAN' scheme by utilising the holistic competency of the companies," said the association. UDAAN is a regional connectivity scheme under which the government plans to provide connectivity to remote areas and enhance access in under-served regions. international funding," the association said.